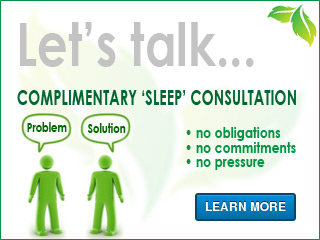 Sleep apnea is marked by nightly breathing interruptions and, in many cases, snoring. Sufferers spend life in a haze, too tired to perform well or enjoy anything as much as they used to. When snoring is present, the sleep quality of bed partners is also affected, often making them feel resentful over time. Because the sleep apnea patient is always exhausted, he or she is likely to be humourless, grouchy and sapped of libido. This combination of sleep deprivation and loss of companionship can slowly draw a couple apart. Sleep apnea patients often sleep for a normal number of hours, making it common for couples to never realize that a sleep disorder is causing their loss of intimacy. The devastating effects of snoring and sleep deprivation symptoms make treatment essential when a relationship is being damaged by sleep apnea. If the sleep apnea is left untreated, relationship counselling is less likely to be effective. After treating the underlying problem, however, patients may find that their relationship hasn’t lost its spark after all. Sleep apnea treatment can transform a relationship by restoring energy, mood and performance in all areas for the patient and the significant other. The best approach to sleep apnea treatment depends on the severity of the condition and the preferences of the patient. In mild cases, patients may see significant improvements from making changes such as keeping their bedroom cool, eating dinner at least four to five hours before bedtime and avoiding alcohol at night. When sleep apnea is moderate or severe, clinical treatment is necessary. After getting a sleep apnea diagnosis at Brightleaf Dental in Santa Monica, patients can review treatment options with her. These can include CPAP as well as newer options, such as oral appliances and soft tissue removal. If you are suffering from sleep deprivation, book a complimentary consultation with Dr. Ana Brightleaf.